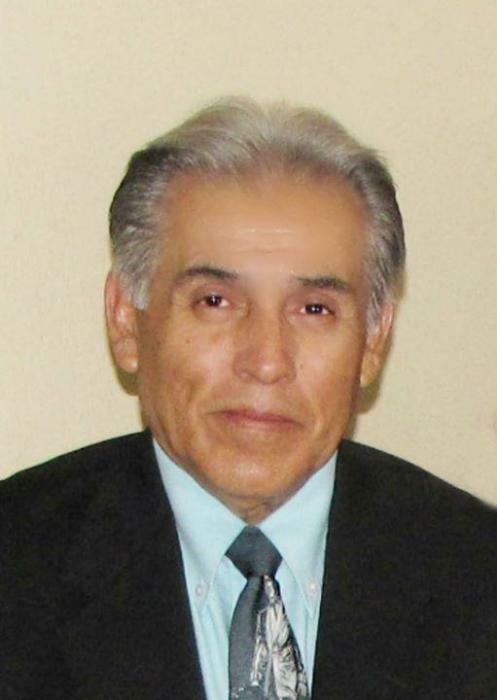 Hector M. Gonzales, 71, of San Angelo, passed away on November 18, 2018 in Kerrville, Texas, surrounded by family and loved ones. Viewing will commence at 4:00 pm on Friday in the "Remembrance Chapel" of Gutierrez Funeral Chapels/North, 1002 N Oakes St. Funeral Service will be on Saturday at 10:00 a.m. at the funeral home with Deacon Jesse Martinez, officiating. Military graveside services will be held at Calvary Catholic Cemetery. Guiding Hector to his final resting place will be his fellow firefighters from the San Angelo Fire Department. Services are entrusted to Gutierrez Funeral Chapels/North. He is survived by his partner, Angie Basquez, children Stephanie Gonzales, David Rodriguez, Andrea Gonzales, sisters Minerva Sanchez, Mary Lou Torres and Martha Reyes. He is survived by many nieces and nephew, cousins and close friends. Mr. Gonzales was born May 4, 1947 to Elias and Mary Gonzales. He graduated from Central High School and enlisted in the US Navy in August 1966. Deployed to serve in the Vietnam War, he earned the National Defense Service Medal, the Vietnam Service Medal with 3 Bronze Stars and the Republic of Vietnam Campaign medal before his active service ended. Upon returning home, he joined the San Angelo Fire Department in 1975 and stayed until he retired in 1998. In addition to his service in the Fire Department, he had great passion for baseball, which both played and coached. His favorite baseball team is the New York Yankees. He participated in weightlifting competitions and earned medals for his wins. He was a football fan, in particular a college football fan, his favorite team being Navy Midshipmen and would never miss the Army versus Navy game. He was interested in biographies and history, he had a knack for telling great stories, could drop a joke and deliver the best punchline with impeccable panache and timing. He will be dearly missed by everyone who had the pleasure of knowing him and those who loved him. On behalf of the Gonzales family and Gutierrez Funeral Chapels, we ask the comfort of your blessing upon Hector's family. May they be sustained by pleasant memories, a living hope and the pride of a duty well done in service to our country.